DIAL: Tropical aged chocolate brown dial with luminous hour markers and tachymeter on the periphery. 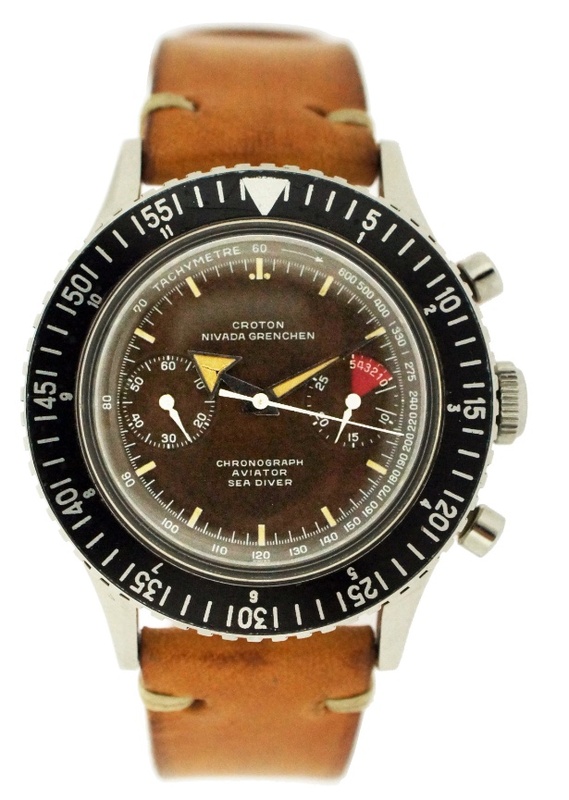 Two subdials, subsidiary seconds at 9 o’clock and chronograph 30-min counter at 3 o’clock with red 5-minute countdown sector. Broad Arrow hour minutes hands, white central chronograph seconds hand and dagger counter hands. CONDITION REPORT: The dial has evenly aged to a nice toprical light chocolate color. The watch is in great original condition.